On the forty-five minute drive to the hospital where I’d be speaking to nursing students about narcolepsy for my first presentation as a Rising Voices of Narcolepsy speaker, I tried to rehearse my speech that was engrained in my head by now, and there was nothing! I was drawing a complete blank and I became worried. This was the moment I had been waiting for, this is a cause I am passionate about, a moment in which to raise awareness for narcolepsy that I now feared I was going to blow it! 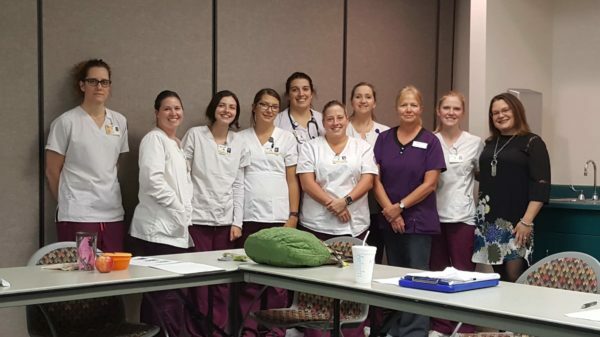 The clinical instructor and last-semester nursing students began filling the classroom, they were tired from a long day. As I greeted them I learned they were excited to hear about my story because most said they had not heard of narcolepsy before. I reviewed my notes quickly as my husband set up the projector. I was still nervous. I introduced myself and as I began speaking I could see all eyes were on me, but I could also see that they were already hooked after just my introduction! This was it, I was telling them about narcolepsy, a condition I live with everyday. From there, it just rolled off my tongue. The presentation became very interactive as the soon-to-be nurses had many questions and were altogether intrigued. I was able to inform them about facts and give them a real glimpse into what it’s like to live with this neurological and complicated disorder. I was completely energized by their enthusiasm! I did it, I survived my first official public speaking engagement for Rising Voices of Narcolepsy! The Instructor was excited about the time we spent together and insisted that instructors invite me to speak to their students as well. I am now scheduled to speak to first semester students next month! I am addicted to raising awareness for narcolepsy! Thank you Project-Sleep for giving me this platform! 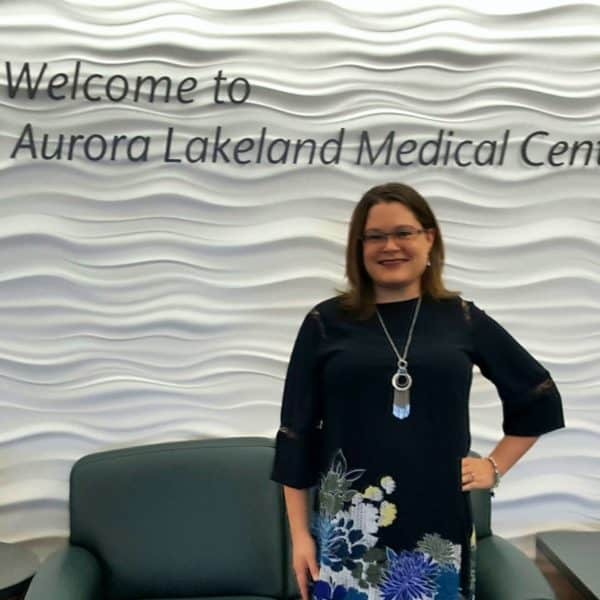 About the speaker: My name is Shannon Burkoth, I have a background in healthcare and business and live in Wisconsin with my husband and teenage daughter. I was diagnosed with narcolepsy and cataplexy in 2010, and would like to share with you my story of living with this misunderstood and complicated neurological disorder. Request a Rising Voices of Narcolepsy trainee for your event or publication by filling out this form. How can I become a educator to the healthcare field for Narcoleps. I have tried so hard to educate the nurses around me but they seem to careless. We actually have a resident who has N with C but no one documents anything about her disease and C. I even had a supervisor laugh under her breath about my concerns. I need help !! !